This is a question I get asked a lot: What TV shows should I watch on Netflix? With a constantly changing catalog and many diverse shows from different genres and eras, it is hard to answer this question but I will try. I headed over to Netflix and reviewed the TV catalog; I decided to classify my top TVpicks in several lists: old shows, Netflix Originals, British shows, teen/children shows, sci-fi, drama, comedy, etc. But first I decided to make a list with my ABSOLUTE favorite shows currently on Netflix (US). Here is a top 10 list of what, in my opinion, are the best shows available on Netflix (not including Netflix originals). We have cable shows, network shows, British Shows and more. Some of the shows are no longer on the air, so you can watch the entire series. Others are still airing new episodes on TV so it is the perfect opportunity to catch up. 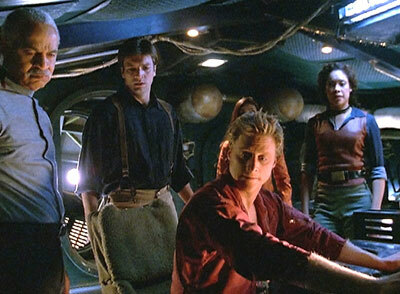 Firefly is the definition of a ‘cult-hit’. This show will be passed on from one generation to the next as a sci-fi classic for years. It is definitely a one of a kind show with a unique premise and many interesting storylines: Space cowboys, renegade priests, legal and even revered intergalactic prostitutes… and the list goes on. Firefly is extremely bizarre and quirky and it has Whedon’s signature dark and out of place humor. To top all that, it had an amazing cast: Nathan Fillion (Castle), Gina Torres (Suits,Alias), Morena Baccarin (Homeland, V), Adam Baldwin (Chuck), Alan Tudyk (Suburgatory) and the list goes on. This ‘Western in Space’ is 14 hours of crazy, bizarre outrageous fun. It is too weird (in a good way) to miss. Note: After you watch all 14 episodes, don’t forget to also check out the follow up movie Serenity. Premise: An FBI agent, a mad scientist and his estranged son team up to investigate unexplained phenomena, uncovering deeper conspiracies and the existence of parallel universes. Fringe is one of the best science fictions shows ever produced. The ‘science’ element of the show is captivating and intriguing. Throughout five years the ‘Fringe’ team investigated cases dealing with parallel universes, teleportation, reanimation, time travel and more. All the cases are based on real scientific research so there is always the feel that they are in the realm of possibility. However, this show has another very important element to it: the ‘human’ element. Behind all the paranormal activity and intergalactic wars, this is story about a man trying to atone for the mistakes he made out of love for his son. The show deals with crazy and fantastic situations, but the relationships between characters are real. Oftentimes, the simplest scenes are the most compelling and there is no shortage of great performances, especially at the hands of veteran actor John Noble (You can see some of his best scenes here). In summary, Fringe will blow your mind, open your eyes and make you cry. Definitely sci-fi lovers. The show has a heavy component of science fiction, but it is also a family drama, so even if you are not exactly into sci-fi shows, you may still enjoy it. This show was produced by Paul Haggis, famous for the movies he has written (and won Oscars for): Million Dollar Baby, Crash, Quantum of Solace and others. And that is exactly what this show felt like: an incredible movie. 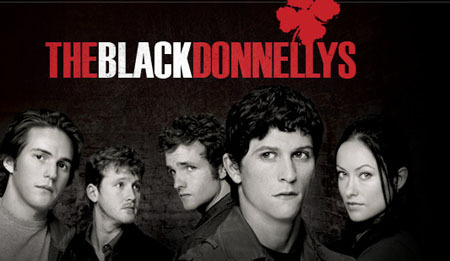 The Black Donnellys was brilliantly made and brilliantly written. Paul Haggis did what he does best: deal with human emotions and the unity of family in an underworld setting. The show was raw and gritty without being overly violent and it was dark without becoming depressive, it actually had quite a bit of humor. It was an incredible take on the anti-hero story that is so popular these days… well at least on cable, where this show belonged and would have lasted for many seasons! It also featured a superb cast of then unknown young actors including: Olivia Wilde (House) and Kirk Acevedo (Fringe). It was a sad sad thing for TV to lose this show after only one masterful season. Sometimes I feel there is no point in watching shows that were cancelled after only one season but this one is definitely worth it! Think of it as an incredible 13 hour Paul Haggis movie. Fans of Paul Haggis’s movies and Anybody that has a taste for gritty well written dramas and who enjoys cable dramas like Sons of Anarchy, Breaking Bad or Mad Men. Premise: An FBI agent arrives to the incredibly bizarre town of Twin Peaks to investigate the murder of a teenage girl. Genre: Not really sure, it is a genre of its own… I can’t put it in a box. If you were born in the late 80s or after, you probably didn't get the chance to watch this show when it aired; however, you most likely have heard about it. Up until this day, the show is a critics’ darling. It is used as an example of great TV by writers and producers, not to mention the constant references and homages on other TV shows and movies. In synthesis, Twin Peaks is a classic cult-hit. A show about an FBI agent investigating the murder of a young girl is something that has been done many times before and after Twin Peaks… but NOTHING is like Twin Peaks. Whatever you imagine this show is like, you are probably wrong. The show had the most unique tone and it took quirky/campy to an entire new level. It was full of surreal sequences and it was simply bizarre and extraordinaire. It’s hard to even explain, one of those “you have to watch it to understand it” things, and you certainly HAVE to watch it. I have to admit this show is not for everyone. I can see a lot of people not understanding it or being overwhelmed by its quirkiness. However, if you are a TV lover you must watch it, if you love bizarre shows you must watch it, if you are open minded to unique storytelling you must watch it. I think everyone must watch it, because it is a once in a lifetime TV product. 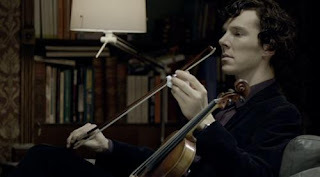 Each 90 min episode, which feels more like a mini movie, focus on one of the Sherlock Holmes books. The show may be set on the modern age, but it is probably one of the most fateful adaptations. It has all the mystery of the books, the beauty of the city of London and it incorporates modern technology into the story in the most creative ways: Watson has a blog where he writes about their cases, cell phone texts and internet searches are often featured as part of the clues and there is an episode that hilariously plays around with ridiculous ringtones. There is never a dull moment on this show, the stories move a million miles per hour and so does the witty dialogue. In addition, BBC’s Sherlock has my favorite Sherlock/Watson duo. And don’t get me wrong, I adore some of the people playing Sherlock and Watson these days: Robert Downey Jr., Jude Law, Jonny Lee Miller, Lucy Liu… but Benedict Cumberbatch and Martin Freeman are just perfect for the roles. When the show began, they had their share of recognition in England, but now they are quickly becoming international movie stars with Benedict starring on the new Star Trek and Martin playing the title character on The Hobbit. British Sherlock is one of the most amazing things on TV right now and my favorite Sherlock adaptation ever. You can start by watching any episode really, so pick your favorite story and Netflix it away! I think this show can be enjoyed by pretty much anyone; it is intriguing, smart and tons of fun to watch. Premise: Don Draper is a successful advertisement agent in the 1960s New York, with a secret past and countless inner conflicts. This is period drama done right. Everything about it is incredible: The clothes, the hair, the sets, the props, the speech… if you didn’t know any better, you could absolutely believe you were watching a show filmed in the 60s. In addition to it being visually stunning, they make good use of the historical context. It is not a show about the 60s, but the socio-political issues of the time inform their characters and storylines. This is a show about the characters, their inner struggles and about the timeless flawed nature of human kind. Mad Men is a wonderful classy show. It is a subtle and it does not rely on gimmicks, overacting or obvious dialogue. It is a smart show for a smart audience where not everything is spelled out; in fact nothing is spelled out at all… so it provides the audience with a unique experience where reflection is part of the viewing process. Anybody who likes good television. However if you are expecting a show with constant plot twists, pre-marital pregnancy, office romance, drug use, people losing limbs… oh yeah of all that actually happens…but in a classy way. Premise: A female spy discovers that she has been working for the enemy she thought she was fighting and becomes a double agent for the CIA in hopes to destroy the organization that wronged her. There are spy shows and there is Alias. Ever since this show I have not encountered a spy drama that satisfies me (coming close with The Americans). Alias was the perfect spy show in every way. It was made in the old-school-spy movie vein with spies traveling across the world, wearing disguises and fighting menaces from Russia. It had all the elements required for an action show: amazing fight scenes, car chases, explosions and jaw dropping plot twists. But there were a couple of things that made Alias unique. One, it had JJ Abrams’s signature sci-fi twist in disguise and two it was superior to other action shows in the relationship department. In a way, it was all about the main character, Sydney, and her relationships with the people around her: her father, another CIA spy, her friends who were unaware of her secret life and her handler with whom she had a romantic relationship. The ludicrous action sequences were tons of fun to watch, but in the end it was a story about Sydney. The show was elevated even further by the cast which included veteran actors Victor Garber, Ron Rifkin and pre fame Jennifer Garner and Bradley Cooper. Alias is one of my favorite shows of all times and if you didn’t watch it when it was on the air, don’t waste another second and start TODAY. Alias has probably one of the best pilots ever produced and it is one of the first TV shows developed by JJ Abrams (who apparently produces 80% of TV shows these days). I think this show can appeal to many types of viewers: old, young, women, men… Only requisite is to like action and good storytelling. Premise: I high school chemistry teacher is diagnosed with terminal cancer. In his desperation to provide for his family before he is gone he teams up with his former student and starts a crystal meth manufacturing business that will eventually turn into an empire. Breaking Bad is arguably the best TV show of the last decade. It is one of those shows that simply blows your mind away in every way you can imagine. Starting with the very original premise and continuing with the constant twists and turns of the plot. Breaking Bad has it all, it has an interesting story, it has gritty scenes, it has action, it has a bit of humor and it has a lot of human emotion and statements about human nature. It is also a show that achieves the impossible, to narrate the journey of a man that simply ‘breaks bad’, in the vein of evil is not born, it is made. Simply fascinating. Everyone! Even if it is not your type of show you should give a try and I guarantee you won’t be able to stop. It is absolutely brilliant! Premise: A young man struggles between his life as an outlaw and trying to honor his father’s memory by turning his motorcycle club into a legit organization. A show about a biker’s gang sounds like something all guys would adore and no women would want to watch. However I truly believe this show can be enjoyed by men and women alike. It has everything men enjoy: adrenaline, motorcycles, guns, girls, fist fights, car chases, etc. But at its core it is a show about a family and human relationships. Yes, it has a very violent and action packed backdrop, but the amount of relationship drama SOA has makes Grey’s Anatomy seem like the least angsty show [Just to be clear, I am NOT comparing SOA to Grey’s! SOA is a much much better show]. Sons of Anarchy narrates the journey of a young man trying to escape the world he was born into and striving to avoid making the same mistakes as his parents. His relationships with his mother and substitute father (who may or may have not murdered his father) are explored, as well as the camaraderie between members of the club and there is even a romance story in the mix. This show is absolutely brilliant. The plot twists are surprising and intriguing and the relationships between characters are compelling and constantly evolving. The character development has no match, I care about each and every one of this cheating, women hitting, murderous bikers… I truly do, and I am all in to follow them on this ride. Need yet another reason? The cast. This is probably the best role of Katey Sagal’s (Married with Children, Lost) career and also features outstanding performances from Charlie Hunnam and Ron Perlman (80s Beauty and the Beast, Hell Boy). Men would absolutely love it, no question about it. But women can love it too for sure! Just be warned, it can get very violent at times. Premise: A plane crashes on a deserted island and the castaways struggle to survive as they discover that the island may hold many more secrets than they originally thought. Even if you didn’t watch it, you are probably at least aware of the existence of this show. You are probably also aware that this was one of the biggest cult-hits of all times. You probably don’t really get what could be so intriguing about a show of people stranded on a deserted island. It doesn’t sound as the most original premise… but, the show sure was. The show revolved around the plane crash survivors and it explored their back stories through flashbacks (well during the first couple of seasons, then everything changes). What was great about this structure was that each episode was a completely unique story; from an orphan boy, to a couple in Korea to a runaway criminal. The flashbacks informed the characters and explained why they acted the way they did. It was an exploratory study of human nature. And then there was the island… The island itself was a character, where were they? What was the monster? Could the island really heal people? Why were polar bears in there? And the questions never ended. Lost was one of the most intriguing and complex shows of all times. It was a masterpiece of television, it will go on to history as one of the most original, influential and significant TV shows of all times. If you weren’t able to catch it on time you should, it may even be better to watch it online since you can watch as many episodes as you like! And believe me; you won’t be able to stop after just one. Anyone, this show has so many facets that every single person can find something appealing about it as long as they are willing to follow the very complex plot. And that was it, my top 10 picks for shows currently available on Netflix. Any of them would be a great choice for summer viewing. I just want to mention a couple of other shows that were not include on the list. Downton Abbey which is one of my favorite shows, but only Season 1 is available on Netflix. If you want to watch this show, and I absolutely recommend it, head over to Amazon. Battlestar Galactica is another one of my favorites, but since Firefly was already on the list, I wanted to diversify a little. However Battlestar is definitely worth watching as well.